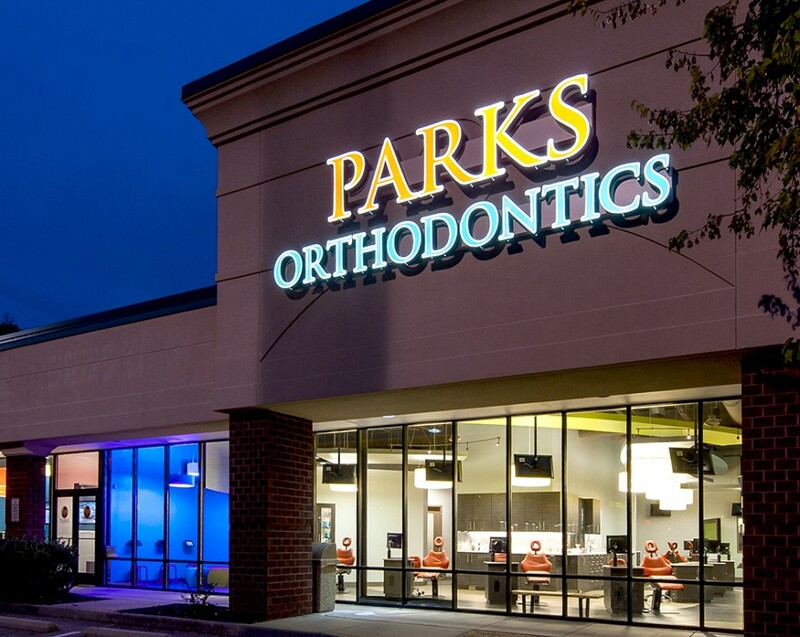 RRMM Design Build was contracted to provide construction services for the interior build-out for a new Parks Orthodontics facility. 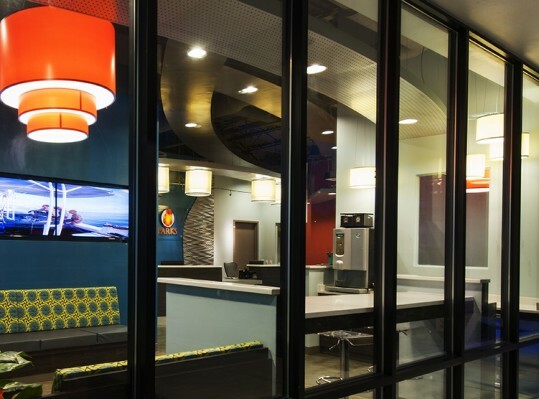 The new office replaces an existing location in Newport News and consists of two reception/waiting areas for a more efficient wait time. 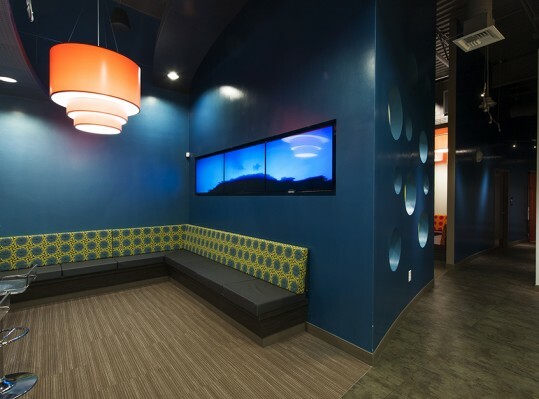 One of the reception/waiting areas includes a designated kid’s area for families while the other has an internet counter and coffee bar for older clientele. 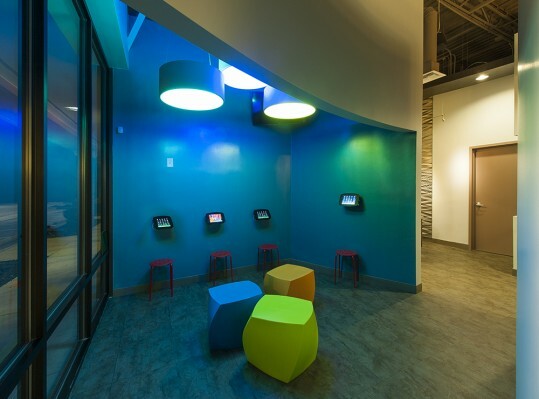 Parks Orthodontics also features a unique “on deck” waiting room with wall mounted iPads making patient comfort a priority. 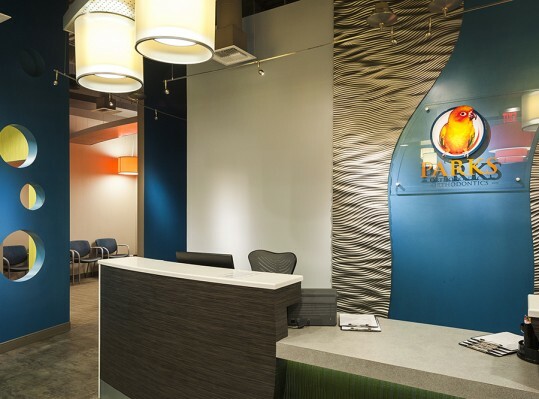 From the waiting area, patients are given access to a tooth brushing station before entering the treatment area and can visit with the treasured Parks Orthodontics bird, Sunny in his brand new custom aviary. 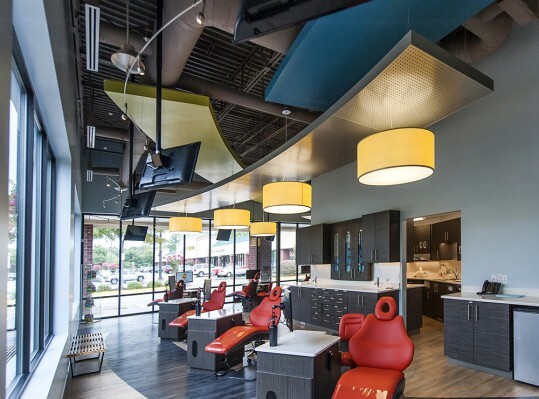 The treatment area has an open floor concept with seven dental chairs with two chairs located in a semi private area. 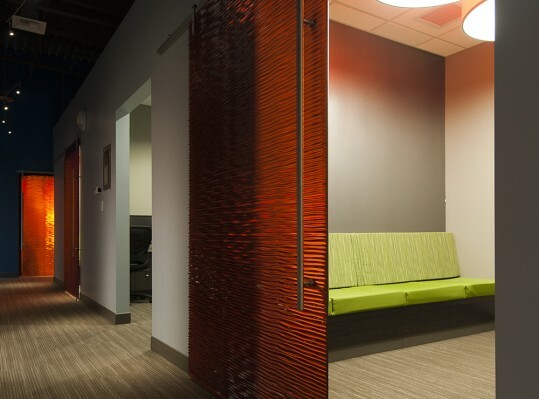 New patients will receive consultations in one of two private exam rooms. 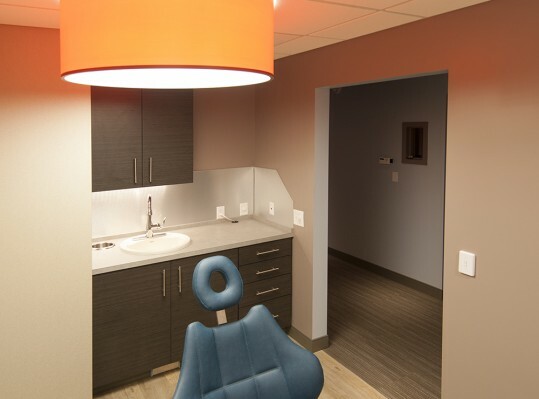 The new facility also includes an X-ray room, laboratory, staff facilities, administrative offices, and private doctor’s suites.